The 2011 Aussie Million $100,000 Challenge continued the trend of strong tournament attendance at high roller events to start this New Year. There were 38 players who ponied up the six figures to enter this event and the year-over-year growth was impressive at 58 percent. Attendance was so strong in fact that it prompted the Crown Casino to announce a $250,000 buy-in mega high roller tournament that will take place in Melbourne, Australia on Thursday, January 27. That tournament will boast the largest live tournament buy-in of all time, and the winner will walk away with $2 million. The tournament played quick throughout the first day and the final table of eight was reached just before the prescribed stop time of 1:30 a.m. local time. 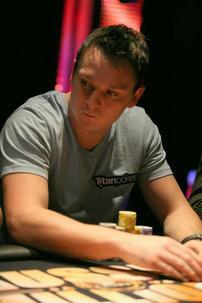 Sam Trickett was dominant throughout the day and he leads the way into the final table with just under a million in chips. The final table will begin at 2 p.m. local time tomorrow here in Australia, and you can tune back in at that time for full live coverage from the final day of the event. Phil Ivey, Tom Dwan, Patrik Antonius, Andy Bloch, David Oppenheim, Gus Hansen, John Juanda, Erick Lindgren, Alexander Kostritsyn, Sorel Mizzi, Peter Jetten, Justin Smith, Mas Kagawa, James Bord, Daniel Cates, and Melburnians Tony G and Joe Hachem. We’ll see you tomorrow for final-table coverage from the Aussie Millions $100,000 Challenge at Crown Casino, and be sure to tune in starting at noon local time for Day 1A updates from the $10,000 main event.